Team Wendy makes tough milspec gear – and their ballistic helmets are some of the best. The Team Wendy EXFIL Ballistic Helmet is a popular choice for a protective helmet. First off, let’s be clear – this is a ballistic helmet, not a bump helmet. What’s the difference? About $700. In all seriousness ballistic helmets are meant to protect you from high speed projectiles and fragments – something a bump helmet doesn’t claim to do. The helmet discussed here provides ballistic protection to meet the NIJ Level III-A standard (according to NIJ STD 0106.01/0108.01). It also provides blunt impact protection (ACH Blunt Impact Protection requirements per AR/PD 10-02). Let’s take a closer look at this outstanding piece of tactical gear. First off, the EXFIL Ballistic Helmet is made with a hybrid composite shell, and features a unique CAM fit retention system – that you can adjust with one hand. The high cut shell is made from polyethylene and other fibers in a proprietary composite matrix. Inside, a Zorbium foam liner protects against impact and allows for an overhead communications headband. Zorbium is Team Wendy’s proprietary polyurethane impact and comfort foam. There are 16 comfort pads inside the helmet. Here’s a closer look at the inside. You can also see the dial for the Boa Fit system – which allows very precise adjustments for the best fit. From the front you can see the NVG (Night Vision Goggle) shroud. It is a 3 hole Wilcox® W shroud. Not shown here is shock cord kit which is used for stabilizing the NVG – but you can see that in some of the other pictures. From the side you can see the high cut shell allows the use of comms devices – or the installation of optional ballistic ear covers. The accessory mounting system come in 2 flavors: RAIL 2.0 and RAIL 3.0 systems. Most of these pictures show the RAIL 2.0 system. The RAIL 3.0 system allows for the use of the XFIL® Ballistic Visor and the EXFIL® Face Shield accessories, which can’t be used with RAIL 2.0. Here’s what the RAIL 3.0 system looks like. You can upgrade a helmet using the RAIL 2.0 system by using the RAIL 3.0 Retrofit Kit. This is the Coyote Brown color, with the quick release picatinny rails in place – great for mounting flashlights, IR illuminators, and more. From here you can also see how the high cut shell would easily allow use of comms devices. On the back we can see the hook and loop (velcro) panel to be used for mounting counter weights. Having a counter weight is essential when using heavy NVGs – the balanced forces ensure a minimum of neck strain. The EXFIL Ballistic is available in these colors: Black, Range Green, Multicam, or Coyote Brown. There are two sizes available. Size 1 is for Medium/Large, and Size 2 (XL) is for those with a bigger noggin. A Left Eye Dominant (LED) retention option is also available. OK, these are great helmets. Let’s look at how you can make them even better – or tailor them to the mission. High Cut vs Full Cut Ballistic Helmet High Cut helmets have cut out ears so your comms will fit. Full cut helmets cover your ears, to some degree. High cut helmets are lighter, and work better with comms, but give up some armor protection. You can try and wear comms gear with a full cut helmet – but it will probably be uncomfortable. One of the reasons the Team Wendy helmets are considered some of the best is the sheer amount of add-ons and accessories. For example, we mentioned that the RAIL system could be used to mount ear protection. Here’s the EXFIL Ballistic helmet with the EXFIL Ballistic Ear Covers from Team Wendy in place. Please note, these are real BALLISTIC ear covers. These provide protection meeting the NIJ Level III-A standards. That’s why they are expensive. The addition of these to the Ballistic helmet make it the protective equivalent of the ACH Helmet (Advanced Combat Helmet). The Ear Covers are available in Black, Coyote Brown, or Ranger Green. But not Multicam. Here’s another great accessory – but this ONLY works with the RAIL 3.0 system. It cannot be mounted using the RAIL 2.0. For ballistic eye protection use the Team Wendy EXFIL Ballistic Visor. These provide protection meeting or exceeding the Military Combat Eye Protection (MCEP) standard. These are 3 position visors – up, down, or stowed. Available in 3 colors, here’s the Black Ballistic Visor on the Black EXFIL Ballistic Helmet. Like the helmets, the visors come in two sizes. Make sure you get the size that corresponds to your helmet. For more face coverage, use the Ballistic Face Shield. Please note this is intended for law enforcement officer use as a riot helmet – it is not a ballistic face shield. 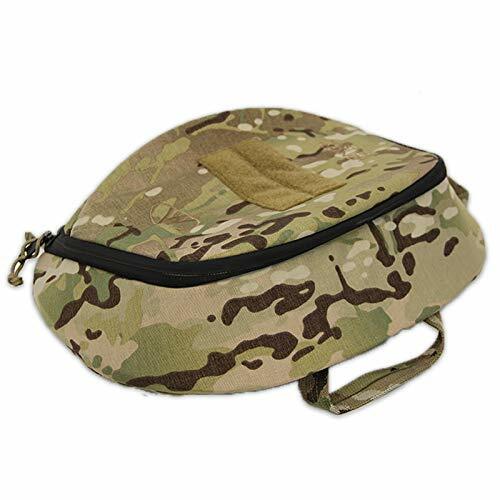 The benefit of this item is allowing LEOs and military personnel to carry just one helmet, rather than having to carry both a standard issue ballistic helmet and a dedicated riot helmet. Like the visor, this requires the RAIL 3.0 system. It comes in two sizes (match to the helmet) and can be used in the up, down, and stowed positions. Got a Team Wendy Ballistic Helmet like the EXFIL? 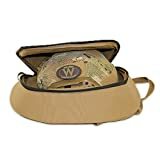 Transport it safely and securely using the Team Wendy Helmet Transit Pack (Buy on Amazon). This pack has a clamshell opening – perfect for helmets. It also has padding on all sides to protect the helmet. It will fit any of the Team Wendy helmets – and any other helmet of similar dimensions. There are also 3 moveable internal pockets that can be placed anywhere in the bag – use these for accessories or odds and ends. 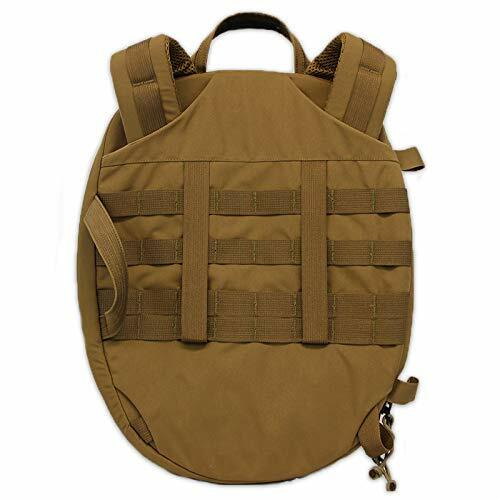 MOLLE On the back, as shown below. 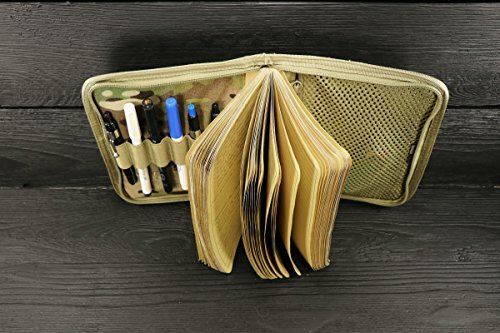 But, MOLLE isn’t the only carrying option. There is also a grab handle and shoulder straps too. 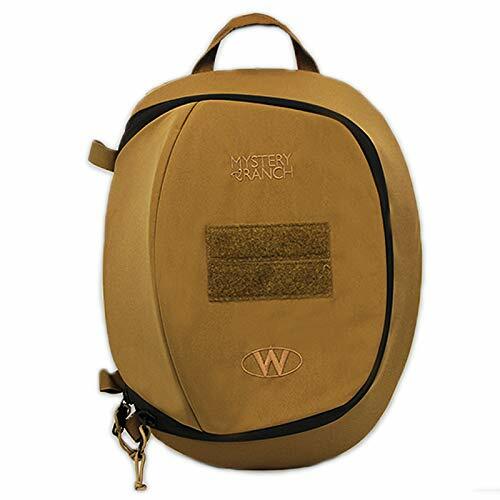 The Transit Pack is offered by Team Wendy, but made by Mystery Ranch – they make top notch tactical gear. The transit pack is available in Coyote Brown or Multicam. The EXFIL Ballistic Helmet from Team Wendy is a great choice for a ballistic helmet. It works great with NVGs, comms devices, and can be customized thanks to the use of accessories like quick release picatinny rails. You can also make the helmet even more useful by using the Ballistic Ears, Visor, or Face Shield accessories.